The Slavonic Library is a section of the National Library of the Czech Republic. The Slavonic Library director reports to the Director General of the National Library. 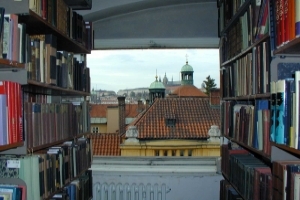 In addition to their normal responsibilities, the employees of the Slavonic Library carry out a range of special duties resulting from the Slavonic Library’s position as a center of Czech Slavistics. The staff organizes academic activities and exhibitions, compiles bibliographic tools, edits its own publications as well as carry out independent research in the field of Slavistics.